Prominent & Leading Manufacturer from Ahmedabad, we offer temperature sensor, liquid temperature sensor, thermocouple temperature sensor, pt100 temperature sensor, rtd sensors and thermocouple heads. We are the prominent manufacturer, exporter and supplier of Temperature Sensor. The offered temperature sensors are precisely manufactured using supreme quality raw material and innovative technology in compliance with international quality norms. Our quality controller rigorously tested these temperature sensors on various quality parameters in order to deliver defect free product. 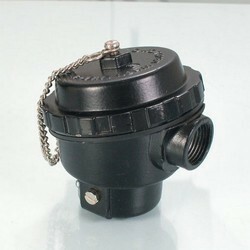 Additionally, we offer these temperature sensors in various technical specifications at economical prices. With our years of experience & in-depth knowledge in this field, we are engaged in offering a quality-assured array of Liquid Temperature Sensor. 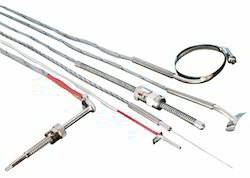 Our esteemed clients can avail from us a broad range of Thermocouple Temperature Sensor. The offered temperature sensors are manufactured using optimum quality raw material and advanced technology in adherence to international quality standards. These temperature sensorsare well known for its operational fluency and durability as compared to other brands. 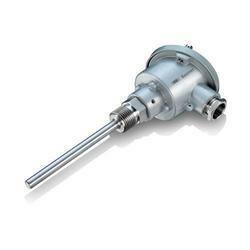 The offered temperaturesensors can be purchased from us at industry leading rates. 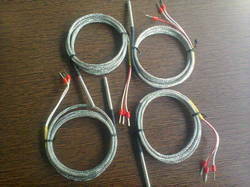 We Are Manufacturer Of PT 1oo Temperature Sensor. We Are Manufacturer Of RTD Sensor.